Every nation has a method to calculate the months and years, because it is a natural need and human necessity, including; Hindus and Muslims. The Arabs before Islam did not adopt a calendar of their own to chronicle their events. However, they relied in their reckoning of years on some important historical events took place among them, such as the outbreak of a war or death of a leader or some famous incident like the incident of elephant, when one of the kings of Himyar in Yemen came riding his elephant to demolish the Ka’abah, but he and his solders were destroyed by a divine miracle the year when the Prophet Muhammad (peace of Allah and His blessings be upon him) was born. How did the Hijri Calendar begin? The Hijri calendar is the chronicle standard used in Muslim societies. The calendar starts from the first Hijri year, which corresponds to 622A.D.. During that year, the Prophet Muhammad (peace of Allah and His blessings be upon him) and his followers migrated from Mecca to Al Madinah now in Saudi Arabia. 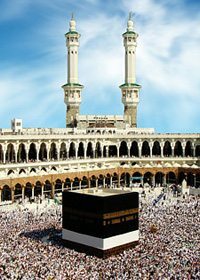 This migration was an escape from the tyranny of his opponents in Mecca after he invited them to One God. 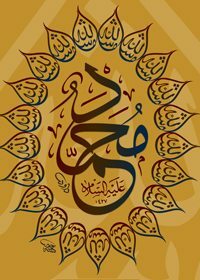 17 years after the migration, a confusion took place in the date of a letter by the second caliph `Umar ibn al-Khattab (may God be pleased with him) to Abu Musa al-Ash’ari (may God be pleased with him). Then Abu Musa sent to the caliph ‘Umar ibn al-Khattaab (may Allah be pleased with him), saying: O Commander of the Believers, the letters come to us, with a date of the month Sha`aban, and we do not know which Sha`aban was that; the current year or the past year? The complaint led to a the birth of a new Islamic Annual Calendar or the Hijri Calendar that is abbreviated as A.H.=after Hijrah (migration) or H.=Hijrah. Before the decision, there was discussion between the companions (may Allah be pleased with them). 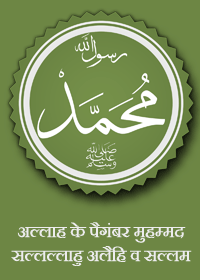 One of them suggested that the calendar should be calculated from the year of birth of the Prophet Muhammad (peace of Allah and His blessings be upon him) and others suggested that the year of his death will be the first year but the companions (may Allah be pleased with them) agreed to start from the year of his migration to Al Madinah. Migration was a great event in Islamic history that changed the fate of the Muslim nation. 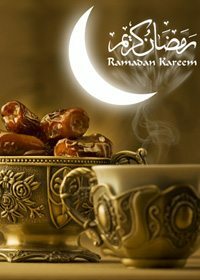 After that there was discussion on the first month in Islamic Calendar; some suggested the month of Rajab as the first month, and others recommended the month of Ramadan as the first, while other companions said Dhu’l-Hijjah as the first month. However, in the last, the month of Muharram has been decided as the first month in Islamic Calendar. The new Hijri Calendar was decided two and a half years after the succession of the second caliph `Umar ibn al-Khattab (may Allah be pleased with him) specifically in the month of Rabi`a Al Al-Awwal 16 A.H.. The Indian calendar is based on the lunar system. In one year, there are twelve months. There are different ways to calculate the beginning of the month in Hindi calendar but the most common is that the new month begins after the new moon’s birth. The month of Chitra is the first month and Phaguna is last month in Hindi calendar. For reckoning the year, different standards have been used in Indian calendar. However, the most common is the Vikrami era, beginning with the coronation of King Vikram Aditya in 57 B.C. And another standard is the era of Shaka, counting from 78 A.D.. The similarity between the Hijri calendar and the Hindi calendar is that both are based on the lunar system, and both have twelve months and seven days in a week and each day has a specific name in both calendars. The Islamic calendar and the Hindi calendar both are closely linked to their religious festivals, practices, celebrations and worships. In Islam, the beginning and end of Ramadan and the ritual of pilgrimage are based on the moon sighting. On other hand, in Hinduism, Holi, Deepavali, Durga Puja, and Dasehra, etc. are based on the lunar system. In addition, the Hindi calendar is much older than the the Hijri calendar. As the Hindi calendar dates back to the pre-Christian period, while the Hijri dates back to fourteen hundred and forty years only.